HW NAT and everything for Max Performance is on. Speedtest.net app in close proximity to the AmpliFi HD router pulls no more than 120~234 Mbps. 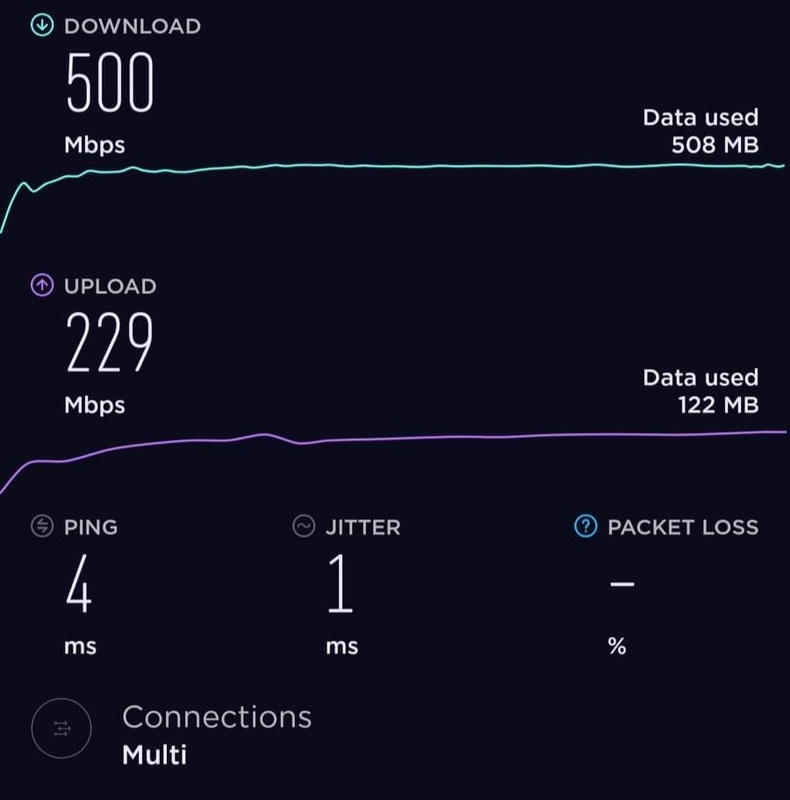 When near each mesh point the speedtest.net app pull 60-120Mbps. Mesh points are max out at 120-150Mbps ? Anyone can post their speeds on 5ghz next to the Router or Mesh will be great ! @rakesh-gupta seems "normal" then, very strange. My phone-based speedtests cap out at ~400mbps, sometimes hanging out closer to 350mbps. I'm not sure much over 450mbps is really possible with this hardware to a single client, though. @angelo-illiano Do you have bridge mode enabled? @ubnt-jt i do not, do speed increase on bridge mode ? i have the modem/router combo from att in bridge and the ampli hd as my router currently. @angelo-illiano Enable DHCP on your modem and enable bridge mode on the AmpliFi router. @ubnt-jt won't i loose all the useful functionality in the Amplifi HD ? @angelo-illiano You will loose a few features. What are you concerned about loosing? @angelo-illiano That looks great! Are you enjoying the gamers edition? I would love to see your set up.